"This story is a masterpiece of mystery, Hully - the kind that leaves a reader thinking about it long after reaching the end." Written for a challenge at the BoMoWriCha Prompt House. When the mine opened there seemed to be a lot of secrecy about it. It was only a small one and in spite of there being quite a few redundant miners in the area, the workers came in from ‘outside’. Not that it would have done much for the unemployment figures as only four miners seemed to be needed. It must have been a small vein of...something, found on someone’s land. Enough for them to attempt to extract it, but not enough for many people to be involved in its extraction. Apart from in security, that is. For the four miners there seemed to be ten times as many security guards. Tight-lipped about it all they were too. Not one of the miners was ever seen to be involved in discussion with the locals, either friendly or otherwise. Neither did anyone witness them talking to each other. It appeared that both miners and security arrived in silence; worked and left in silence too. Much as that was strange, it was not the only oddity about the mine. It never operated through the hours of daylight. What work was carried out there was done under the cover of darkness, apart from the spotlights that would slice their way through the vicinity on a regular basis. It was lucky that no houses existed nearby, for there would have been a hue and a cry, a confrontation about the noise, the lights, the disturbance caused throughout the night. There would have been a fuss but it would have been a pointless one for, apart from the searchlights, there was little to disrupt anybody at all. Whatever it was that they were mining for, they were mining for it silently. Until it happened, the explosion that brought everyone running, along with the sirens of the emergency vehicles. The blast was deafening, window-rattling; everybody that was asleep woke up, and those still up went outside. That it had come from the mine was obvious for there was a cloud of dust and a redness in the sky above it. The locals went to see if they could offer any assistance, even though they had been ignored up until that point. If questioned, it’s doubtful that any of them would have confessed that their true motivation had been curiosity. They wanted to know what was going on, or at least to get some idea; it was only natural to want to know, after all. Wasn’t it? Maybe if they had not been there, no one would have known that an extra miner left the mine. Four worked there, but five were seen to be helped out, a couple of them clearly injured; all apart from one were visibly shaken up. It was not just one or two that counted five, nearly everyone did; but only four were taken to the ambulances to receive medical attention. “What about the other one?” somebody asked, and security gathered around. “There were only four.” The guard spoke with absolute confidence, sure of his facts. 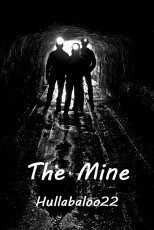 The miner was disappearing in to the distance, walking steadily without looking back. Was he the bomber? Was there even a bomber, or was it a blast caused by error? One of the security guards began to follow in his footsteps when the miner just seemed to disintegrate. The locals looked around at each other in confusion. They all knew what they had seen, didn’t they? There had been five, not four, hadn’t there? “There were only four.” The same guard that had spoken before, reiterated. In the face of complete denial, what was the point in arguing. If it had been one of their own, then it would have been different. If it had been one of their own they would not have just dissipated and disappeared. The mine did not re-open. In fact, a later blast, carried out under the strictest of circumstances ensured that it would never be opened again. No one ever said what was being mined there, and the news media were remarkably silent about the whole thing. It did not take long for the locals to stop talking about it with each other, as one by one, they began to think that maybe the entire thing, strange as it was, was nothing more than a mass hallucination. In private though, many knew that what they had seen was real, including the vanishing man. Was he even a man, though. For most of those that had watched the mines evacuation, found their eyes being increasingly drawn towards the stars. Thanks so much for giving this a read, Compass Girl. Thanks, Mike. I went back and read the prompt only to find I'd got it all wrong. Never mind, I enjoyed writing this one, at least. Terrific mystery, Hully! You created a wonderful atmosphere, that small-town feel, like alien stories from the '50s/'60s. A believable occurrence. Thanks, Jeff. I was definitely trying for that 'B-Movie' feel with this. This story is a masterpiece of mystery, Hully - the kind that leaves a reader thinking about it long after reaching the end. Thank you so much for that, Joe! A spooky, mystery that got all the residents speculating. As always, an excellent story, brilliantly written. Thank you so much for that, Sue. You have no idea how much that means. Worthy of a Twilight Zone episode. Brilliant story! Thanks, Markie Bee. I'm really glad you enjoyed it, and thanks so much for taking the time to give it a read. Thanks, Stars. I'm really glad that you enjoyed the read. Yep, it's up to you to decide who or what he was, or even if he was there in the first place. Thanks for reading, Moa, and for a comment that is going to keep me guessing too.